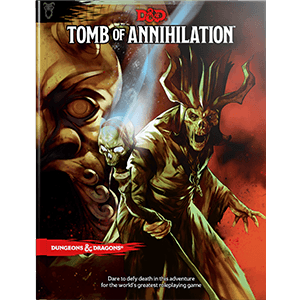 Published 5E D&D campaigns, including the awesome new Tomb of Annihilation, provide the players and DM with a ton of possible content to use. As DM, how do we know which portions of the adventure will interest our players the most? Do they want particular foes, say Thayans or Giants, to be central parts of the campaign, or should they be mere footnotes… if encountered at all? Is it thrilling for them to travel through the jungle, or do they prefer to travel by sea and river and deal with foes such as pirates? With so many ways we could run the campaign, do they want death-trap tombs? Do they want a gritty campaign, where the jungle itself is deadly? Read on to see how we can answer these questions and create a player-focused campaign. We will use Tomb of Annihilation as an example, but the process applies to any campaign you want to run, for any type of RPG! 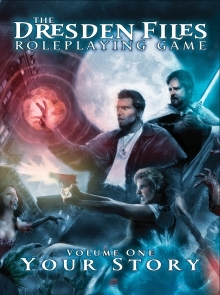 In Dresden Files you can create the campaign and your PCs at the same time. DM and players work together to define the setting. You do things like select the theme for the campaign, using easy-to-grasp and slick-sounding catchphrases (such as “Portland is Weird” for a Grimm-style game about fey creatures in the Northwest… true story, we started this campaign one week before hearing about the Grimm TV show). You select locations (Forest Park) and organizations (city council, taxi company, labor unions) and then assign people (a treant in Forest Park, a mage that controls City Council, werewolves in the labor unions). You assign qualities to these – how magical they are and how much they are trying to change the world. The end result of this system was that in three hours we knew more about the campaign setting than did the players in my Dark Sun campaign after three months of playing every week! It was incredible. Everyone could sense coming plot arcs (fey in Forest Park, mages taking over the city, werewolves out of control) and knew the major players. It was very much like setting up a great TV show. Then we made our characters, which includes the step of selecting locations your PC knows about and relationships with other player characters (further cementing your backstory). Various versions of Fate and Fate Accelerated have used these rules. You can get a feel for it with this free pdf, A Spark in Fate Core – A Collaborative World-Building Toolkit for Fate Core. Fate’s rules are based on a really open sandbox approach. The Tomb of Annihilation campaign isn’t a completely open sandbox – we aren’t going to base it in Neverwinter and take on Orcus! We want to use the elements given to us… we just want to tweak the amount of time we spend on various elements depending on the interest level of our particular group of players. By involving the players before they even create characters, we shape the campaign into something memorable… before the first die is even rolled. A big choice I had was whether to have a Design Session or to use Surveys. Both have advantages. A design session brings everyone together to exchange ideas. Invite everyone over, letting them know this is a “session 0” (a session before the campaign starts) where you will discuss themes and tone for the campaign. Let them know you are going to discuss aspects of the setting and come to consensus – some give and take is expected in the interest of the greater good. It’s all a win, because the campaign as a whole will more closely reflect all the players’ interests. Use a guide such as the Spark in Fate Core supplement to prepare questions ahead of time. For Tomb, you can also use the questions I share in the next section. Pose questions one at a time, letting everyone discuss them until an answer formulates. You can come up with some great ideas this way, and what one person says can trigger another person’s thoughts and so on. You also can get consensus right then and there, because for any question you keep going around until the group settles on the path forward. Being together in person helps you get a read on players. This is especially helpful if you don’t all know each other. A session 0 breaks the ice. A Design Session worked really well for me with Dresden Files, but I had a ton of travel and work. I opted to use Surveys this time, followed by a brief in-person session 0. You can also develop your questions and send them to all the players as a poll or survey. I used Survey Monkey for the task. I created a first survey, then built upon those answers with a second survey. I shared the top results after each survey, so they could see how the campaign was shaping up. Survey Monkey assigns a weighting to the answers, so you can see which is winning mathematically and not be thrown off visually by a few popular choices which others ranked very poorly. Sending a series of two-three polls allows you to fine tune or clarify. You don’t get the back-and-forth ideas and clear consensus, but it does fit into everyone’s schedule. This method also gives you all the time you need in between each poll to digest the answers and decide how to reformulate future sets of questions to get the answers you need. As you get older, it becomes harder for players to show up consistently. This can cause your campaign to die out. When I reached out for players, I cast a wide net. I asked those who expected to make almost all sessions to sign up, but I also invited the rest to join an “alternate team” of fill-in players. They make characters, which function a bit like NPCs and level up with the party. They have backgrounds that explain how they can show up and fade away (apprentice to a Thayan wizard, famous explorer, Volo’s personal assistant, etc.) and I copy them on all important e-mails (including when I mail out my 1-page end-of-session summary). I invited them to participate in the survey as well. I picked these themes based on reading Tomb and thinking through major themes that interested me. Let’s pause and underscore this: the DM matters! While you are asking players questions, make sure to choose options you will enjoy DMing! I love Indiana Jones, so that was for sure a theme I wanted to offer up. I know one of my players likes pirates, and I do too, so that was an interesting one I would enjoy fleshing out more greatly than is done in Tomb. I have wondered about the challenge of weaving up more intrigue and politics… asking about the Merchant Princes could get us in that direction. Conquest of the Wilds is flexible, with aspects that could be a fun competition with other factions and see their adventuring company try to grow in prominence and fortune. The idea that the PCs themselves are movers and shakers is where the diving theme came from – it could be cool if the gods themselves took an interest (a very classic Forgotten Realms angle). I love Acquisitions Inc (see my work on Cloud Giant’s Bargain) so that is always an option. My love of Indiana Jones favored pulp, but maybe they want a more typical approach or a darker approach… it is all about annihilation! The last question was simply a choice of three radio buttons for the general challenge level of the campaign: Default deadliness, lower deadliness, or higher deadliness. Survey Monkey let’s me see the results, both as a whole and by individual. I did two things with the data. One, I noted the overall strongest choices. Two, I noted what each player had as top preferences – this is great for when you want to shine a spotlight on a player. If Christina loves a deadly pulp campaign with a merchant prince theme, I know how to create a fun session that will draw her in, even if that isn’t the overall campaign focus. For my group, they favored a default challenge level, pulp action-adventure tone, and the Tomb Raiders and Pirates Everywhere themes. Survey Monkey let’s me see a mathematical score for each option, so I can see if there are big gaps between options. For themes, the third option of Conquest of the Wilds wasn’t too far behind, but Deities and Merchant Princes were low. For tone, there was a relatively large 1-point gap between top choice Pulp and the next two options (which were only .08 apart), then a .16 gap to the last option of Dark. This gives me a good feel that Pulp is the way to go, and I can mix in some comedy and high-fantasy at times. Default deadliness eclipsed other options. Looking at individual responses, some choices were polarized – while pirates were pretty popular for all players, Merchant Princes was very mixed. A few really liked them. Again, that’s useful data for a one-off session that spotlights a player with that particular choice. I shared survey results and gave some time for any feedback, then launched a meatier second survey about threats and allies. Tomb has many foes, and I know I want to add to and develop some enough that others won’t see much use. The survey lets me see how my interests and the players’ overlaps. All of these choices would have been fun for me to develop beyond what is written in Tomb. My players chose Tombs and Traps, followed closely by Rivals. Immediately my mind filled with ideas on what I could do with that! Yuan-Ti weren’t too far behind. Thayans and undead are a second band, then Dinosaurs and the environment more distant. Now, I will certainly use dinosaurs, but I won’t focus them as much as I might have. Environment being lowest is a big key – along with the previous decision that this isn’t a gritty/dark campaign, I’m ditching the armor rules and toning down insect bites and the like. Environmental and dinosaur threats will be encounter aspects, not a major constant presence. I then asked the question, “In addition to Pirates, which threat presents the greatest challenge on the seas?” This had similar options, but I threw in Batiri goblins. Here Rivals was again a top choice, but the Undead were now near the top, along with Thayans. Batiri followed (batiri goblins on ships…. awesome!!!! ), then Environment, and then a big separation to other options. I immediately started hatching plots about pirates, undead pirates, and more. I just might share what I come up with… (stay tuned). I then asked which threat was already active at night in Port Nyanzaru, the starting town. The Rivals and Yuan-Ti were strong. Remember: a huge reason for this exercise is so the players are steeped in the campaign before you even start playing. Through this question, they decide the starting power level of these organizations, which ended up being: Merchant Princes, Harpers, Emerald Enclave, Lord’s Alliance, Zhentarim, Order of the Guantlet, Flaming Fist. If you have read the adventure, you know it has some organizations faring better than others at the start. I was happy to swap who owns which camp and make other changes in order to have players have a stake in this. It turned out to not be too much work, and still generated a lot of fun ideas for me. They chose One of the Factions. My last question was “What should be our starting level” – we ended up deciding 3rd level. We then had a session 0. I reviewed the survey results and asked some finishing questions. Many come from the Fate approach. For example, I asked questions about the pirates, which led us to say that there is a Dread King (more of an honorary title, and the king is Esmerelda, who prefers the title king even as female). We learned that it was the failing Order of the Gauntlet that hired the PCs, because a group of explorers had recovered something (a relic?) from a temple and were taking it back to Baldur’s Gate… but they never made it. Pirates… or perhaps a faction? We generated some NPC details for the Order of the Gauntlet and some details on the failed expedition. We added some fun lore. Turns out, guides have very specialized knowledge. You need a different guide depending on where you are headed. That’s why Jobo is such an important Merchant Prince. One of the players is a guide, but only has a narrow focus as well. The party will need other guides in the future. It became clear that there were lines the players did not want to cross. When I asked them why Yuan-Ti were active in Port Nyanzaru, they flat-out said they didn’t want to know that as players. That’s worth keeping in mind! Some schemes need to be on my side of the screen. I was more receptive after this and backed away from other planned questions because I suspected they wanted me to detail the motivations and schemes for major foes. We then gave time for players to exchange ideas on their PCs. They settled on classes, key skills, backgrounds, and other aspects. This helped them avoid overlap while staying compatible. Three players ended up being from Chult, the other three from the Sword Coast. The Chultan PCs were all hired by the Order of the Gauntlet, and had different areas of knowledge. One is a fixer, who assembled the crew. One a ranger-guide, the other a druid. We ended our session with a great feel for our version of Tomb of Annihilation. Some would arrive by boat, others gather in the town awaiting them. I already knew I would start with a montage… a topic I’ll deal with next time! Tomb of Annihilation released September 8th at premier gaming stores and on digital partners! General release (including online retailers) is the 19th. Wizards of the Coast created a new DMs Guild Adept program. For each storyline (such as Tomb) WotC will select distinguished DMs Guild publishers and have them write products to release with the adventure. You can find the list of Adepts (Lysa Chen, Will Doyle, Claire Hoffman, James Introcaso, Rich Lescouflair, Shawn Merwin, Cindy Moore, Satine Phoenix, Ruty Rutenberg) and the program concept here. You can find all of the DMs Guild Adept adventures here. I picked up all of them and they are well worth the price. Encounters in Port Nyanzaru: A series of short encounters by all 10 Adepts, and the easy pick if you want to just try out one of these! You can easily add these to your Tomb campaign and they will give you tons of fun for the meager price. Return of the Lizard King: Lizard folk tribes slowly fall under the sway of a new leader, tied to an ancient threat. This can serve as an introduction to Tomb and includes new races, class archetypes, backgrounds, and more. By Shawn Merwin! Cellar of Death: James Introcaso goes back to the premise that kicks of Tomb and asks what happened before it, in this clever introduction to Tomb. Ruins of Hisari: Lysa Chen and Ruty Rutenberg take us below the volcanoes of the Sky Lizard Mountains and into a once mighty yuan-ti city. Levels 11-16, serving as a Tomb expansion. Ruins of Matolo – Discovery: Cindy Moore, long-time organized play contributor, weaves a tale of Camp Vengeance under siege and the link between Chultan undead and ruins of an ancient city. Levels 5-10. Beasts of the Jungle Rot: James Introcaso and Ruty Rutenberg detail metric tons (literally) of dinosaurs and zombie variants! Ruins of Mezro: This fabled city fell long ago… or did it? The amazing Will Doyle provides a complete adventure/city site, new monsters and character options, and three short adventures for levels 1-15. Heart of the Wild: Rich Lescouflair returns to the Guild and provides an adventure featuring two ancient Chultan groups seeking a powerful relic, finally taking the party to the a very cool location known as the Forsaken Tree. Levels 5-10. The Adepts aren’t the only one scheming on great ways to flesh out Tomb of Annihilation. Your kind comments over the past weeks have me writing again. I’m collaborating with one of my favorite authors. Stay tuned! Related to our topic, the excellent DM David tacked the question of Why Players Don’t Love Sandboxes as Much as They Think. Want more ideas on inspiring players to build relationships in your campaign? Check out Satine Phoenix interviewing Keith Baker for the GM Tips show, where they discuss creating relationships both between players and with the setting. The D&D Adventurers League released rules for season 7: Tomb of Annihilation. Because of the death cures, you may need these rules and surrogate characters! The adventures this season are meant to weave into the Tomb hardcover. The first two, DDAL07-01 A City on the Edge and DDAL07-02 Over the Edge, are highly recommended, including as ways you can enhance your home campaign with fun encounters in and around Port Nyanzaru. Finally, Unearthed Arcana provides us with playtest rules for Eladrin and Gith! I don’t have a lot more than what you read above, but I will see how easy it is to share it. Thanks! This is fantastic! I’m working on an adventure and this feels like a great brainstorming session to add more detail to the world. I like this approach a lot. This entry was posted on September 13, 2017 by Alphastream and tagged 5E, Character Building, FATE, Forgotten Realms, Tomb of Annihilation, World-building.